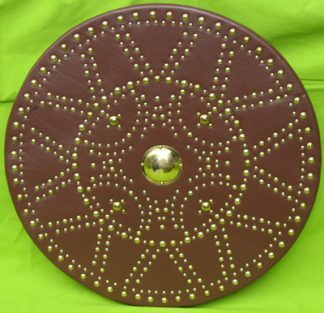 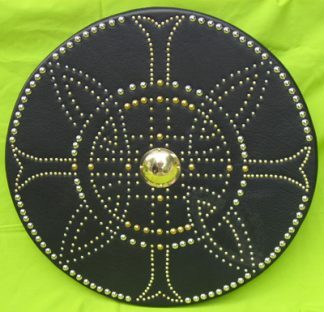 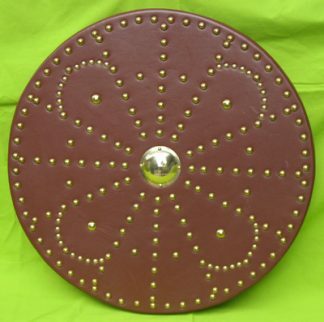 The Scottish targe (pronounced tar-gee) was a round shield with loops on the back through one of which the arm was passed while the other was grasped by the hand. 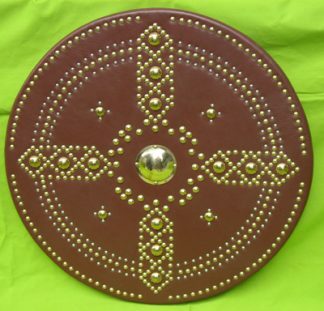 This name as applied to a shield goes back to the 12th century and was used especially by the Scots. 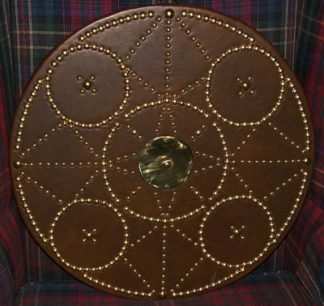 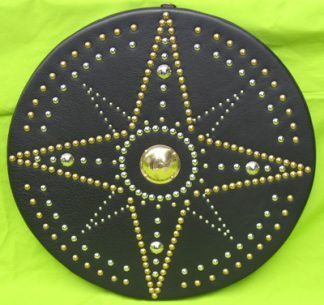 The typical Scottish targe was about 20 inches in diameter, and was made of wood covered with leather studded with brass bosses. 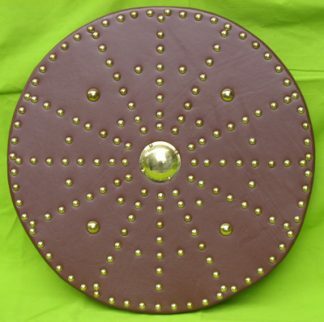 It had a central spike which was sometimes as much as ten inches long and could be unscrewed and carried in a pocket in the skin lining on the back of the targe. 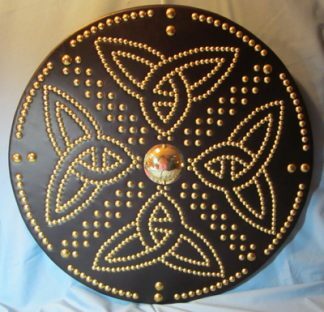 These are all hand made by Patrick.